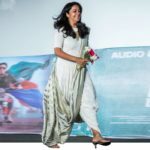 A week passed since we had our fair share of celebrity saree staring. This week is no disappointment for sure. 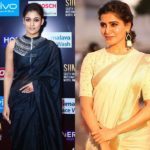 Though most of the celebs were more on wearing western silhouette, we did spotted the pretty women up at Bollywood and down south did take saree to a new level by their enviable and on-point styling. We also love the fact that this week saree look has plenty to offer in terms of style insights. 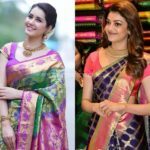 Yes from the ever gorgeous silk sarees to the feathery printed sarees our fashion icons has shown variety of ideas for us to take inspiration from. We have five standout saree look to feature here for you to see. Now scroll ahead and find out who wore what this week! 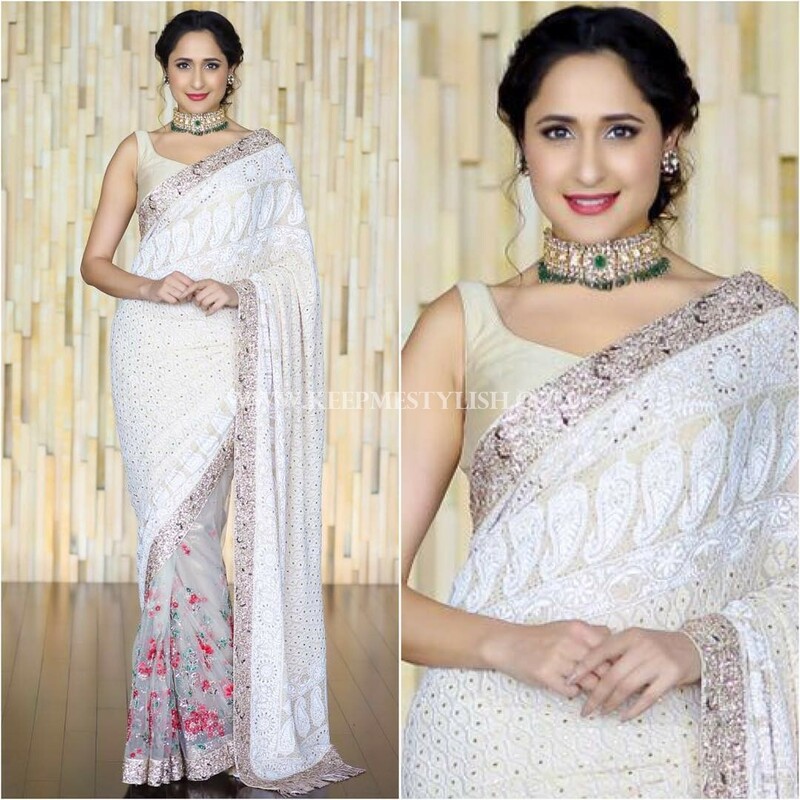 We are completely blown away by the aesthetic half and half saree look of Pragya Jaiswal and the way she nailed this gorgeous ensemble with vibrant red lips and Kudan choker. 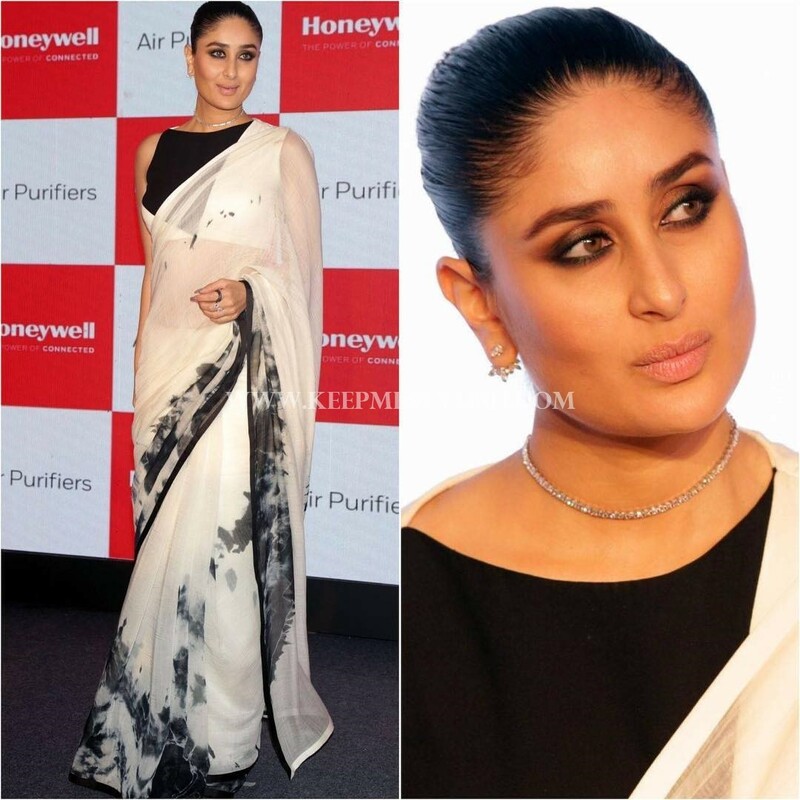 Here is Kareena Kapoor looking younger version of her in the printed monochrome saree and high neck blouse from Bloni. 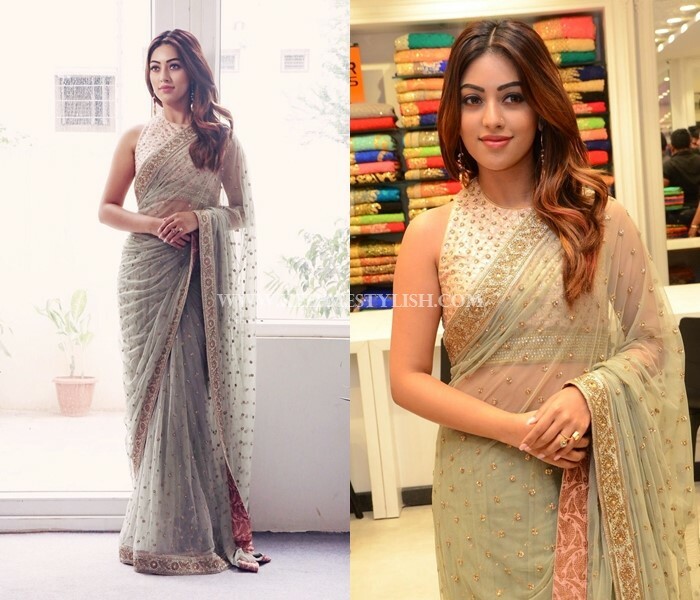 Anu Emmanuel looking every bit lovely on her ‘French Curve’ net saree and close neck blouse. 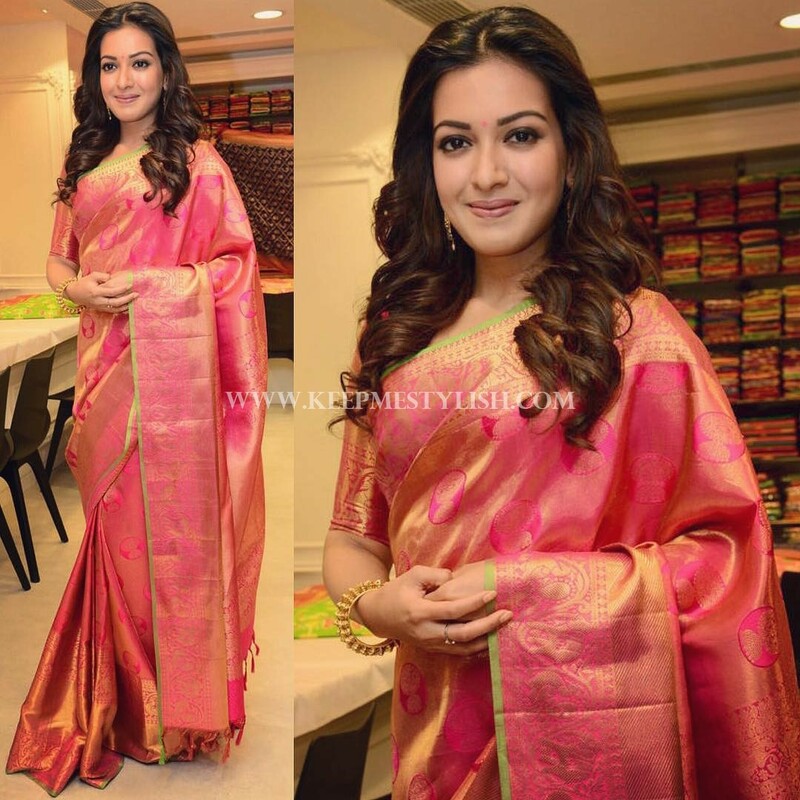 This week Catherine Tresa was spotted on a store launch wearing a lovely kancheepuram silk saree. 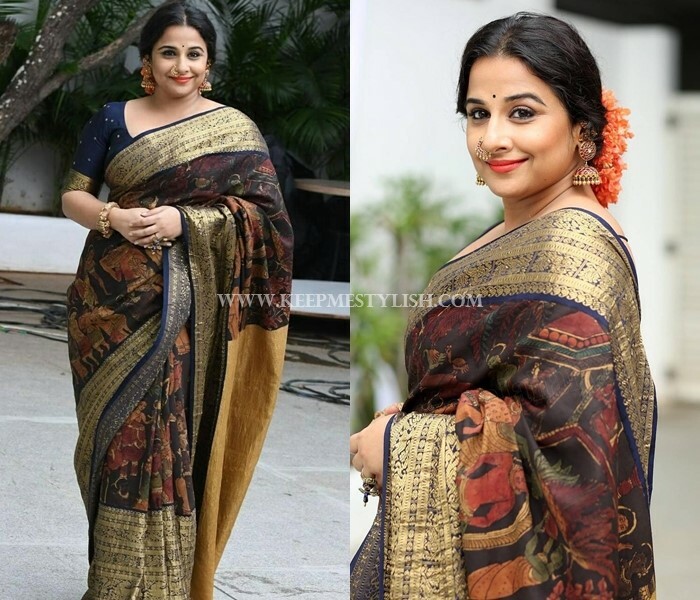 And finally we have Vidya Balan wearing a royal Kalamkari silk saree from the Gaurang shah’s latest collection. Did you get this week inspirations from the stylish ladies? Let us know in the comment who is the best dressed in the list.